For the first time in human history more people now live in cities than don’t. Yet urban areas continue to be characterised by what are often extreme and stark variations in economic and social health, says Dr Arpana Verma. It is no surprise that the juxtaposition of the urban rich living right next to the urban poor means health inequality remains a burning issue for policymakers. Indeed, ever since the World Bank recently classified the urban poor as actually being worse off than the rural poor, the debate has gained a considerable head of steam. An acceptance has grown that international collaboration and knowledge exchange is now fundamental to public health improvements. One particular response has been the European Urban Health Indicators System projects, which were set up to try and learn more about health in cities, and to try and improve the health and well-being of urban populations. Specifically, the aim was to improve health in urban areas through the collection and analysis of health-related indicators. The project went on to become the largest urban health and lifestyle survey ever carried out in Europe, generating comparable estimates for 50 cities and urban conurbations on a range of health and well-being issues. For instance, it revealed that Greater Manchester and Merseyside suffered from some of the highest binge drinking rates among teenagers in Europe. The lowest rate of teenage drinking was found in the Macedonian city of Tetove where just 16% of the population had drunk alcohol before the age of 13, compared to a shocking 61% in Greater Manchester and Merseyside. However urban health problems are particularly magnified for the elderly. With the number of over 75s set to triple worldwide over the next 40 years, this means there will be a massive increase in people living in cities being more susceptible to infectious diseases such as TB and pneumonia; non-communicable diseases such as asthma, heart disease, cancer and diabetes; and injury from road traffic accidents. The numbers are already cause for concern. If you look at life expectancy in the UK it is diverging across the country with the gap getting wider both within cities and between regions. For instance, according to the Office for National Statistics, from 2010–12 male life expectancy at birth was highest in East Dorset (82.9 years) and lowest in Glasgow City (72.6 years). For women, life expectancy at birth was highest in Purbeck, Dorset (86.6 years) and again lowest in Glasgow City (78.5 years). Approximately 91% of baby boys in East Dorset and 94% of girls in Purbeck will reach their 65th birthday, while comparable figures for Glasgow City are 75% for baby boys and 85% for baby girls. Against this backdrop it is now imperative that policymakers implement a generic health and wellbeing toolkit to ensure that the ageing are cared for properly in our cities.The big challenge though, is how do you actually go about presenting health indicators to policymakers? In this context a new EU grant has recently been secured for Urban Health Centre 2.0 which will focus on impacts of healthy ageing such as frailty, integrated care pathways and the prevention of falls. It is a three year project involving institutions in five European cities including Manchester, Valencia, Rotterdam, Rijeka (Croatia) and Pallini (Greece). The organisation overseeing the research in Manchester will be the Manchester Urban Collaboration on Health (MUCH) in The University of Manchester’s urban health department. We’re very excited about the potential of this latest study which will build further on our work of recent years. The interaction that will now take place between us, general practice, Tameside and Manchester City Council, and UK policymakers, is a fantastic opportunity to help influence policy in order to make cities better places to live, work and play. By analysing a range of indicators it will particularly help us further analyse precisely where the inequalities in our cities exist, and what we can do to address them. Quantifying all our data will be extremely important for policymakers who want to know exactly what the costs and benefits are. Community involvement will also be key. Within cities, influences and decisions on people’s health does not just lie with the health sector but with local authority, education, urban planners, engineers and those who determine physical infrastructure and access to social and health services. Getting all the right people behind the table will be very important. One also needs to bear in mind that the built environment affects the work we do in urban health. Urban planning, architecture and health are all intrinsically linked. We will be exploring how physical factors affect health issues too. If you take a city like Manchester, yes it has some fantastic new buildings and parts of the city such as Salford Quays have been transformed. But what actually happens to the communities in these areas? Where do they go? Does their health improve? Our study is just one of many ongoing around the globe on this subject. The wider drive to harmonise data collection tools so that we can collate more data in more countries is gaining real traction. The ultimate goal will be to put together one definitive index for urban health, a panacea for all policymakers. 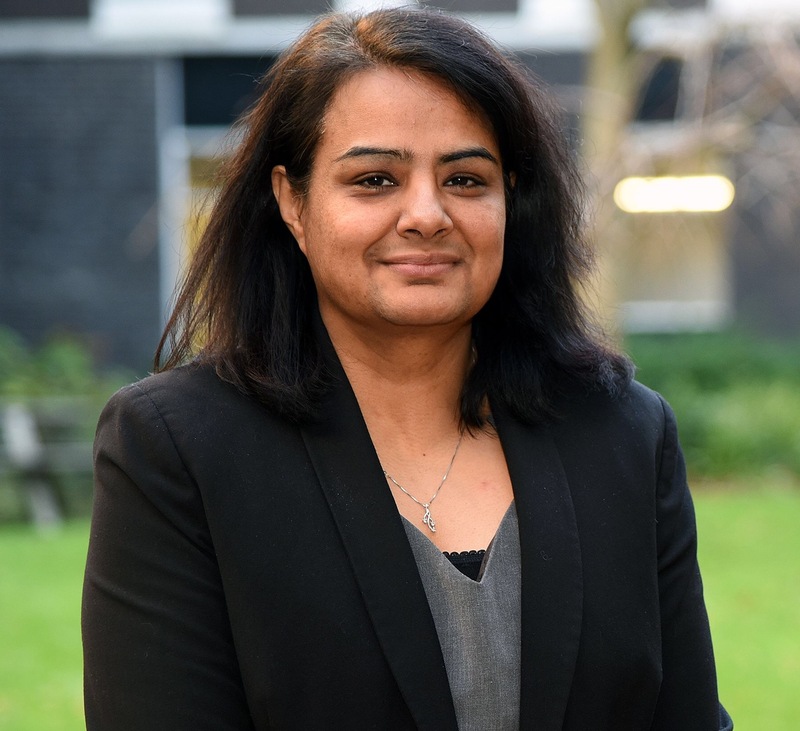 Dr Arpana Verma is Director of the Manchester Urban Collaboration on Health in the Institute of Population Health at The University of Manchester. She is also President of the European Public Health Association section on Urban Health.